At Gugliotta Accounting we help business owners by making sure they have complete, accurate financial statements that they can understand and use to grow their business. Over 30 years experience in for profit and non-profit industries, combined with accounting and QuickBooks education, make our firm qualified to help with almost any accounting or QuickBooks situation you may face. Thinking outside the box? We love a challenge. A business that has grown large enough to need outside help with their accounting. As a CEO of a fast growing company, I needed a better way of accurately budgeting and of analyzing my employees performances. I contacted Gugliotta Accounting. Susan came to the office and helped me set up my QuickBooks so as to better control the company's bottom line. Her professional design helped me to accurately show an employee's actual cost per acquisition and whether the employee was contributing to the company's profitability. Also, her development of a workbook within QuickBooks helped to accurately predict our NET profit and therefore, gave us needed insight. We began to reduce our cost of goods, etc. We have increased our net from 6% to an average of 20% for the first quarter of 2017. Susan was a delight to work with and I highly recommend her to any company looking for a way to grow their profits as well as to learn better ways to increase the bottom line. 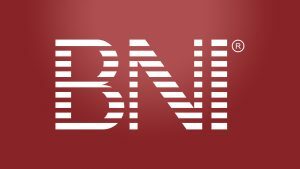 Best Networkers in Town is a premier chapter of Business Networking International (BNI) and proud recipient of the BNI Founders Award. With over 250,000 members worldwide, BNI’s Givers Gain philosophy has resulted in over 15 Billion in annual closed business among its members.